I got my fan brush! My jumbo fan brush, actually. It came w/a nice protective case that helps the brush retain its shape. 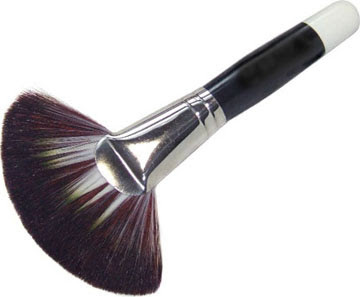 I love it, it's so soft & fluffy, perfect for applying just a hint of blush on the apples of the cheeks!